Terroirist: A Daily Wine Blog » Daily Wine News: The Next Napa? Daily Wine News: The Next Napa? 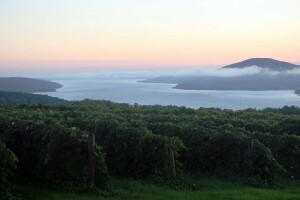 Could the Finger Lakes be the next Napa Valley for whites? Sharon Nagel explores the wine region’s significance on Vitisphere. “Those of you who have followed along on my little Loam Baby journey know that I almost lost my magazine a couple of years ago in a sale gone off the rails. Gladly, I got my baby back and I couldn’t be happier.” R.H. Drexel’s Loam Baby is back, and you can read the entire Woman’s Issue here. “A federal judge Monday dismissed a civil suit brought against President Trump by the owners of a D.C. wine bar, saying the plaintiffs failed to show that the president had engaged in unfair competition by profiting off his luxury D.C. hotel,” reports the Washington Post. In Wine-Searcher, James Lawrence explores the ways in which the wine world needs to adapt as the demand for wine rises globally. “The Tommasi winery of Italy’s Veneto region has purchased a significant share of Fattoria La Massa, an estate in Panzano in Tuscany’s Chianti Classico region,” reports Bruce Sanderson in Wine Spectator. Tom Wark reflects on 14 years of wine blogging.